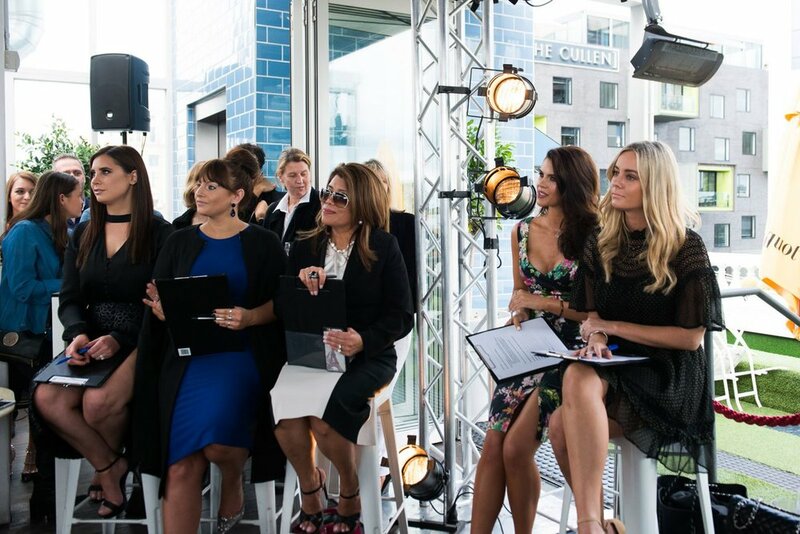 Saturday April 29 saw the Miss Universe Victorian State Final take place at the epic The Emerson Rooftop Bar and Club. Hosted by Olivia Wells and Sophia Barbagallo the State’s Finalists vied for a spot in the National Final. The evenings presentations saw five girls selected as National Finalists for 2017. The girls were dressed in Esther, Midnight Swimwear and Jadore Evening. Marijana Radmanovic, Elana Hoskins-Philbert, Naomi Holt, Tarrah Burns and Nikola Sonerson have all won a spot as a National Finalist.